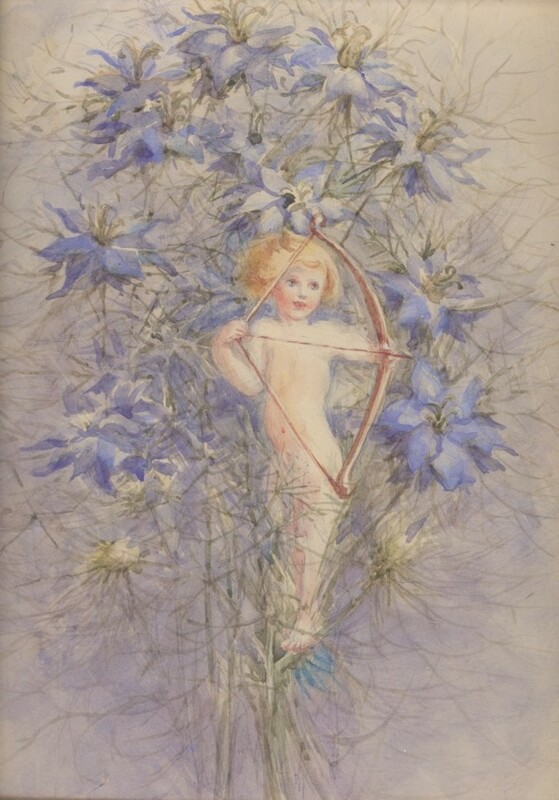 A delightfully romantic watercolour depicting a golden-haired Cupid, bow and arrow at the ready, perched in a clump of blue love-in-the-mist flowers. 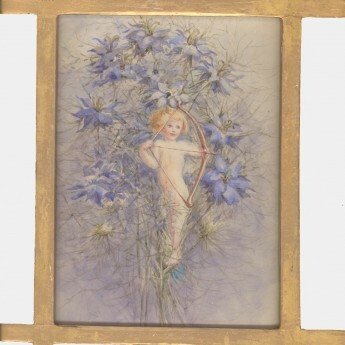 A perfect piece to hang in a bedroom. 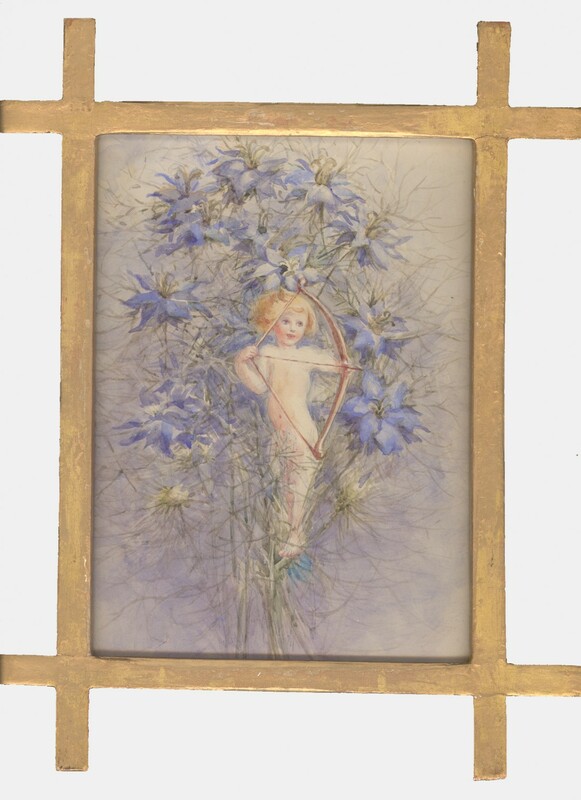 Unsigned watercolour set in a gilded Oxford frame. Excellent condition.